B. Thomas (Arlington, Texas, United States) on 9 November 2017 in Plant & Nature and Portfolio. This is one of my favorite shots of the Colorado trip. 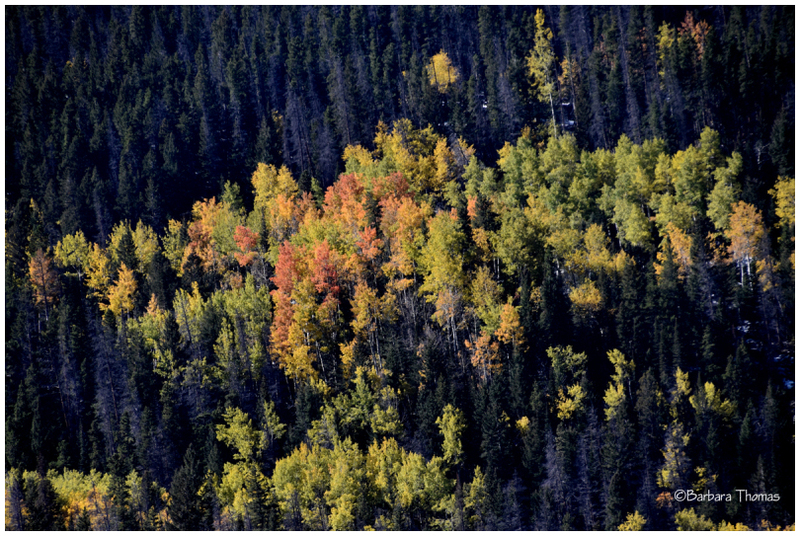 The late morning sun lit up a grove of aspen trees in the forest across the valley. The trees were in several stages of color change from green to yellow and orange. Great picture. Autumn is a beautiful time. Finland is a popular time to travel to Lapland in mid-September. Then there are autumn colors at its best. We call that time as Ruska. Belle plongée sur la forêt. Indeed, this is a visual spectacle. A beautiful capture of the mornign light on these trees. I too like how many colors the trees have. Oh wow!! I love these gorgeous autumnal colors and how they appear to glow in this composition!! That is lovely. An island of color. I can see why it is one of your favourites. Great aerial view with lovely isolation and framing of the bright and colourful autumn foliage. Wonderful!